Gram Panchayat sought eviction after being held as owner of land in dispute-­Private respondents contended that land in possession is different from land adjudicated u/s 11 of 1961 Act-Eviction petition was dismissed-Matter remitted to collector to reconsider the matter to give categoric findings on disputed questions of fact. Comments Off on Gram Panchayat sought eviction after being held as owner of land in dispute-­Private respondents contended that land in possession is different from land adjudicated u/s 11 of 1961 Act-Eviction petition was dismissed-Matter remitted to collector to reconsider the matter to give categoric findings on disputed questions of fact. Village Common Lands—Declaration of Title—Subject land was under the ownership of Gram Panchayat and was under the cultivating possession of tenant—Till the time the land is actually put to use for a common purpose, even if it Is cultivated by a tenant on Will, such tenant cannot does not acquire ownership rights. Comments Off on Village Common Lands—Declaration of Title—Subject land was under the ownership of Gram Panchayat and was under the cultivating possession of tenant—Till the time the land is actually put to use for a common purpose, even if it Is cultivated by a tenant on Will, such tenant cannot does not acquire ownership rights. Eviction–Execution of orders–if the eviction orders have attained finality and there is no legal impediment against their execution, it is imperative upon the District Administration to take necessary steps for giving effect to those orders. Comments Off on Eviction–Execution of orders–if the eviction orders have attained finality and there is no legal impediment against their execution, it is imperative upon the District Administration to take necessary steps for giving effect to those orders. ‘Jumla Mushtarka Malkan Hakdaran Deh Hasab Rasad Rakba Khewat’ and used for common purposes like for military camp etc.-Held; that such like lands though not owned by the Gram Panchayat but being used for common purposes, their control and management vest in the Gram Panchayat. Comments Off on ‘Jumla Mushtarka Malkan Hakdaran Deh Hasab Rasad Rakba Khewat’ and used for common purposes like for military camp etc.-Held; that such like lands though not owned by the Gram Panchayat but being used for common purposes, their control and management vest in the Gram Panchayat. 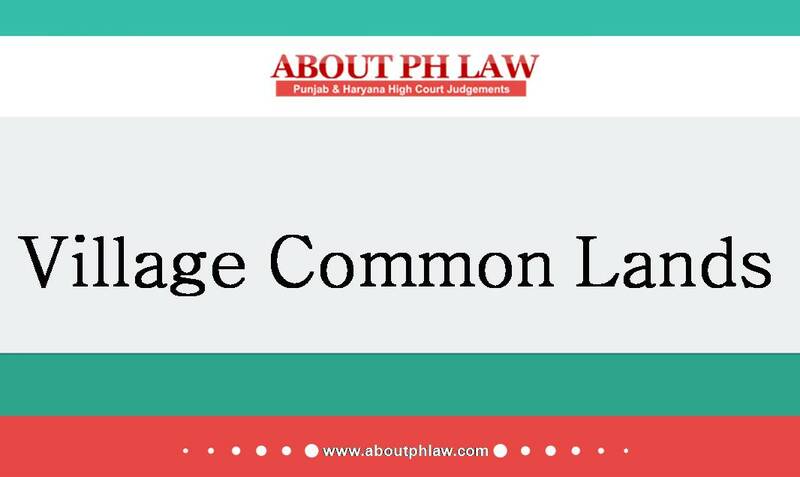 Punjab Village Common Land (Regulations) Act, 1961, S.6–Sale of Panchayat Land-­Under no circumstance, the land which has been ear-marked for village pond, can be sold by the Gram Panchayat to anyone. 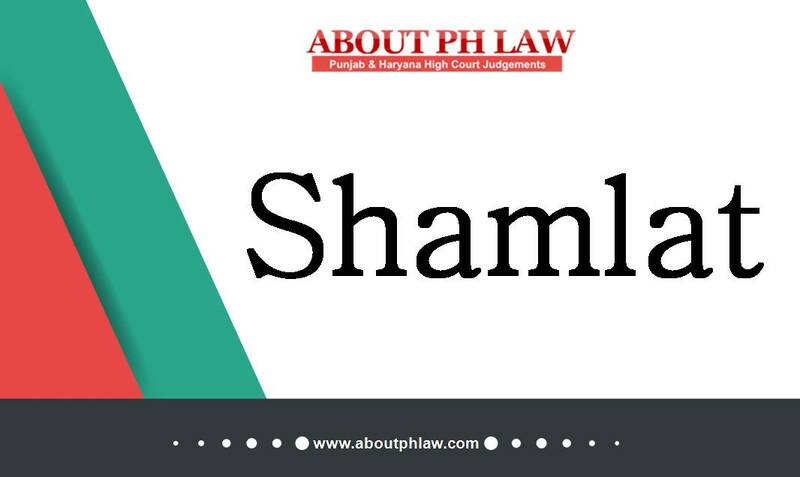 Comments Off on Punjab Village Common Land (Regulations) Act, 1961, S.6–Sale of Panchayat Land-­Under no circumstance, the land which has been ear-marked for village pond, can be sold by the Gram Panchayat to anyone. 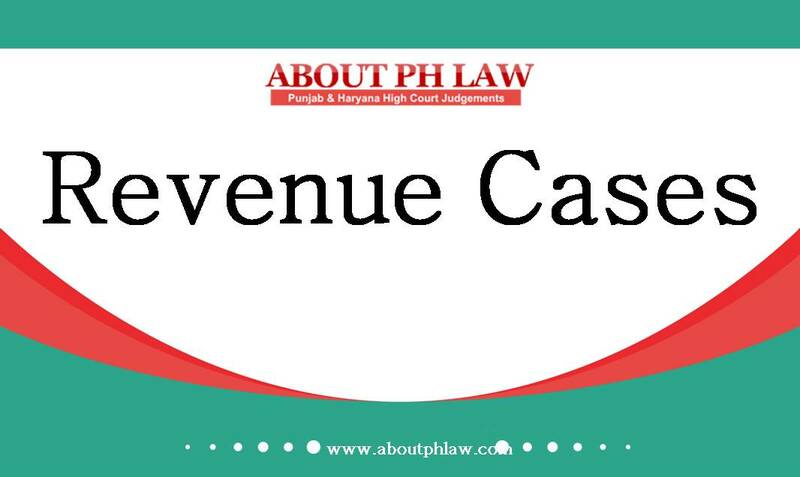 Punjab Village Common Lands (Regulation) Act, 1961, S.7–Eviction–Stay of Proceedings–Land recorded as “Jumla Mushtarka Malkan” and dispute regarding the title of the land is pending before Civil Court till the question of title is decided, the orders of eviction directed to be stayed. Comments Off on Punjab Village Common Lands (Regulation) Act, 1961, S.7–Eviction–Stay of Proceedings–Land recorded as “Jumla Mushtarka Malkan” and dispute regarding the title of the land is pending before Civil Court till the question of title is decided, the orders of eviction directed to be stayed.